We were elated to finally see our mains arrive. 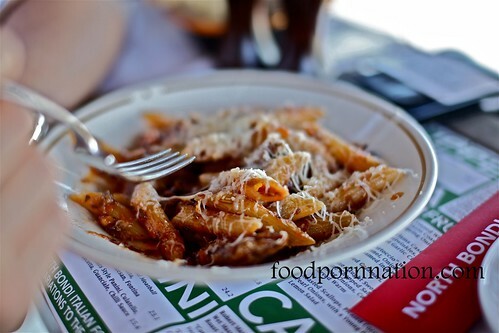 We were greeted with a rich red ragu that coated every morsel of the penne tendrils. And nothing captures the heart of my belly more than sticky melted cheese. 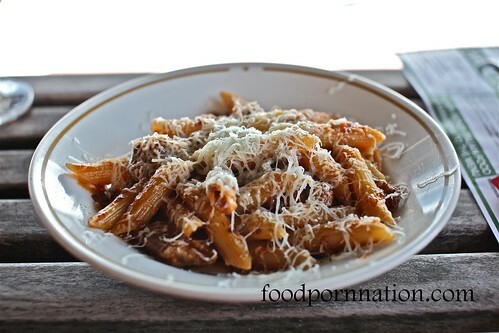 Ahhhh… I just love seeing the penne here laced up in a web of pecorino sardo. It just has this massive “turn me on” factor and all I want to do is eat all the cheesy bits! The lamb ragu was scrumptious, rich and vibrant with flavours and at first glance, I found the portion small for its price. I later realised the size was appropriate, as to not overwhelm you with the heaviness and fattiness of the dish. It was just right. 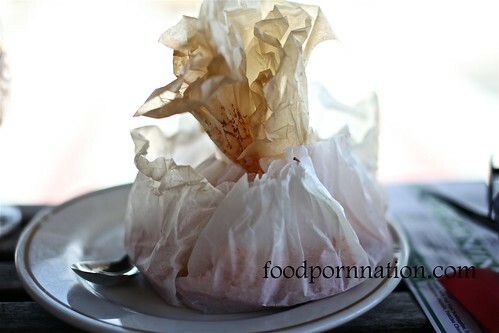 The spaghetti arrabbiata cooked in a paper bag had way too much appeal for me to pass up. It is believed that this method of cooking infuses the pasta with the flavour of the ingredients whilst enriching the flavour of the sauce. Also referred to as, en papillote. This dish came wrapped in a neat little parcel to reveal a sizeble spaghetti dish with lashings of vibrant fire engine red arrabbiata sauce. I was happy to see chunks of crab meat with all its broken fibrous glory. I was also happy to see the sauce sticking to the sides of the paper bag. It made me just want to lick it off. I was disappointed however, to notice the scarcity of the crab meat. And for the price, I was expecting more from the overall taste of the dish and the amount of crab. The guanciale cheek had a rich, smokey and fatty taste. 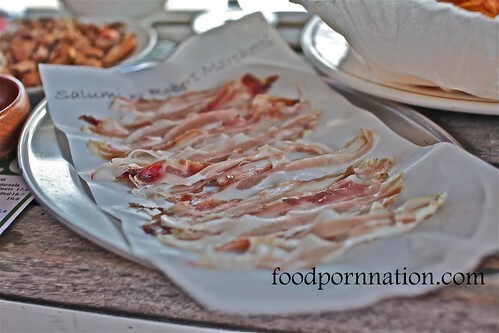 I didn’t expect to see so much fat so I ended up meticulously removing the fat enter-twined around the meat. I love fat in small doses but I am a mesomorph, which means I have to watch the fat count. This dish was meant to be served as an entree for us to nibble at however, our entree ended up being our post-main as staff had forgotten about it. Oops. So when it came to the paying the bill, the staff waived the cost of entree for their minor oversight at their own volition. Food was good yet overpriced for what its worth. But it had enough on the menu to capture my adventurous foodie side. Pigs foot? Tripe anyone? Would I go back? Probably. But only because I am a sucker for punishment and a curious one at that. 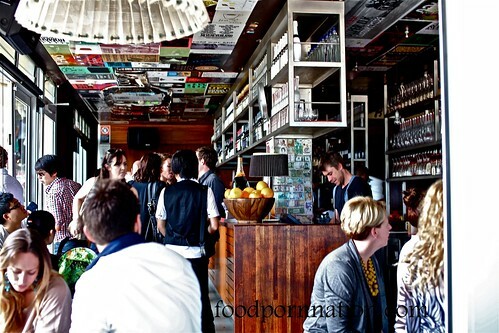 Welcome to North Bondi Italian for overpriced Italian. 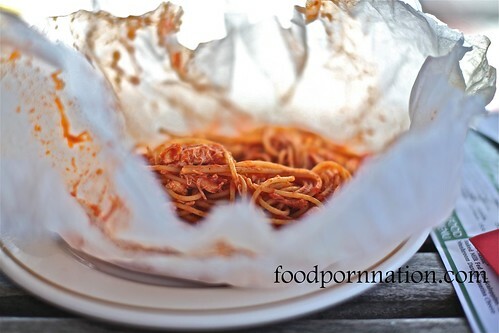 Wow that’s pretty cool, never heard of pasta en papillote before! That is the second time I have ever seen it served at a restaurant. I am thinking of doing a recipe with it. 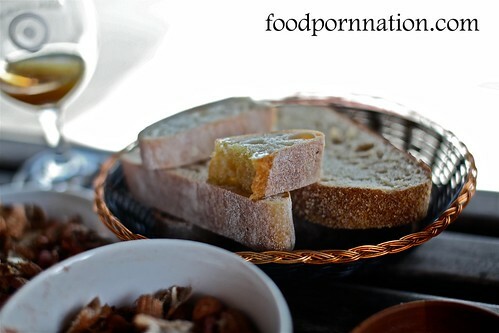 I think it will be a good dinner party idea!